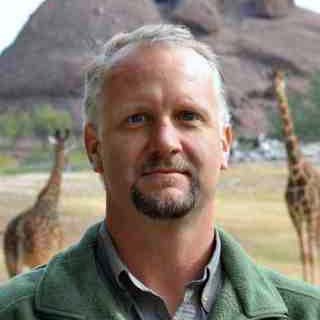 Jan Schipper, PhD, is a conservation biologist and wildlife biologist with over 20 years of research experience in Central and South America with a wide variety of mammalian species, including a status assessment of the worlds mammals. Jan's past work includes evaluating the importance of conservation corridors for mammal dispersal and movement, impacts of traditional hunting practices on wildlife, effectiveness of protected areas at conserving species and developing conservation tools for jaguar (Panthera onca) and other area sensitive species. Ongoing research projects include 1) developing and implementing management for invasive ungulates in Hawaii - specifically Axis deer, 2) developing an effective conservation corridor in Costa Rica to link the Osa Peninsula to the Talamanca Mountains (i.e., conservation on private lands) and 3) monitoring jaguar and other large mammal populations on private reserves and protected areas to explore best management practices to prevent the species from local extinctions where little native habitat remains (Central America). Jan is also a member of three IUCN Species Specialist Groups (Cats, Lagomorphs, Small Carnivores), is on the editorial board for several journals (Therya, Small Carnivore Conservation, Latin American Journal of Conservation) and is the founder and director of several regional nonprofit organizations in Central and South America (ProCAT, the Sierra to Sea Institute). Jan's future goals include developing experiential learning opportunities and student exchange between North, Central and South America to give students the ability to work together across cultures and languages to "cross pollinate" ideas and enrich the educational experience.This would include mobilizing student and professional teams to work on specific issues, at established long-term monitoring and field stations in Costa Rica and elsewhere, to help develop a conservation corridor between three national parks - for jaguar and many other species, and in so doing to restore ecological processes and services to ensure long-term ecological resilience and human health.